In these difficult times, affording a quality higher education degree can be the determining factor on which institution is selected. Missio’s Financial Aid Office has one simple goal: provide current and prospective students with the best possible assistance to facilitate their education goals at Missio. Our students receive awards, scholarships, and grants from a wide variety of sources. Before applying for financial aid, students need to supply their financial obligations through personal funds saved for education and by building a personal support network. A personal support network may include the student’s home church, denomination, people to whom the student has ministered, friends, family, clubs, and foundations. We also believe that no qualified student should be discouraged from pursuing seminary for merely financial reasons. We have established the financial aid program to supplement students’ own financial resources. A Missio Grant Application is required when applying for any need-based grant from Missio.  Missio is accredited by the Middle States Association and by the Association of Theological Schools in the United States and Canada. If you have any questions regarding our degree and non-degree programs, feel free to contact our helpful admissions department. They will be able to assist you. Financial Aid can take on many forms through your term as a student. Financial Aid is available for students enrolled in degree earning programs only. Courses taken in Certificate Programs are not eligible for financial aid. If you have any questions regarding the steps to complete financial aid or any of the programs listed below, do not hesitate to contact Ginny Hartman. Students with a demonstrated financial need who are enrolled in a degree program for at least 24 credit hours per year may be eligible for a grant. Not available for International Students. From time to time scholarships become available which are awarded by the Financial Aid Committee. Our finance committee reviews current student files and recommends qualifying students for special scholarships. Click here to view the most current list of available scholarships. As an accredited school, Missio is recognized by the Veterans Administration. To determine eligibility, students should contact a regional VA office. Missio’s facilities code is 31015238. Military.com – check this page for information about benefits offered through your state. For full-time, degree-program students whose churches want to support their education throughout the entirety of their degree, Missio will match the church’s sponsorship up to 25% of tuition costs. Your church officials will be required to complete a Promissory Note acknowledging the amount of their support and how they intend to pay. Missio will match the church’s payment once it has been received, up to the maximum of 25% of the tuition total, provided you keep your account current with your portion of payment. (1) If Missio requires a student to audit a course for which they transferred in credits, there is no charge for the audit. If the student chooses to audit a course for which they’ve already received credit, the student will be required to pay the audit fee (1/3 of full tuition). (2) Church Match program and Missio discounts/grants do not apply to audit courses (ex. MAC Grant, Referral/Alumni discount, etc.). (3) Church Match programs apply only to Missio credits for a specific degree program. A degree program alum who is returning for a second degree is entitled to a twenty percent (20%) tuition discount. A foreign or domestic missionary or campus ministry leader is entitled to a twenty percent (20%) tuition discount if he or she is raising at least 50% of his or her support and is sponsored by a recognized sending agency. The missionary or campus ministry leader is required to provide a letter from the sponsoring organization that confirms this status. The missionary discount applies to courses taken towards a degree program and does not include certificate courses. If a church is willing to support a student’s tuition throughout the entirety of the student’s degree, Missio will match up to 25% of the tuition costs.